Promocja! Generator terapeutyczny Armand Zapper :: 650,00 zł ::. 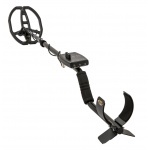 We are a polish Manufacturer of a hand-build Metal Detectors since 1985. We offer a Worldwide Delivery. Our company supplies: Police, Military, Security units, Museums, Geodetic and construction firms, Archaeologists, Treasury and Military Hunters. Choose Euro currency from the top of the page. Make an order via basket. Choose Worldwide Delivery option, shipping cost is 25 Euro. Pay by bank transfer or via PayPal. That's it. You will get a package from 7 to 10 days or sooner. Option "pay at delivery" is only available in Poland. To other countries we are sending only after we receive the money first. Do you wish to be a dealer of Armand Metal Detectors? E-mail us. The founder of the Armand company is Wojciech Oksieńciuk, the electronics engineer and the archaeologist. 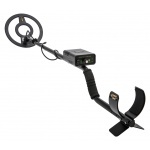 We produce metal detectors being used as: professional, recreational and as a hobby. Detectors are used to search of the militaria, numismats, archaeological monuments, as well as lost objects, e.g. for a jewellery, of mobile phones, shot of bows, of hearing aids etc. Our detectors are used to locate underground technical infrastructure, waste, machine parts, pieces of artillery, detectors are also used in the food-processing and wood industry. Metal detectors are of special importance during water ? sewage works, as well as in geodesy and construction. We produce a few types of metal detectors, including detectors distinguishing metals for iron and non-ferrous (metals rusting from metals which aren't rusting). We also distribute electronic testers for different purposes. We are fully Polish company. 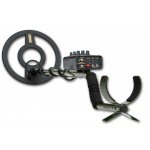 Why to buy Armand polish metal detector? We produce metal detectors by hand since 1985. We have experience in this field. We are a manufacturer of metal detectors, so we offer one of the lowest prices for this type of equipment in Poland (good quality / price). We have our own service under the terms of the warranty and post-warranty of metal detectors. We are not band manufacturer. 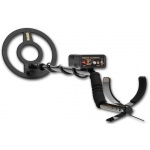 Each of our metal detector is carefully made by hand and with care for the highest quality. 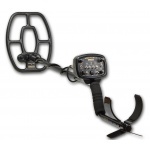 Each of our metal detector is a hand-tuned by a qualified person to get the best ranges. Armand's metal detectors have the same parameters as the foreign ones, so-called ?heighest quality? detectors. Armand's metal detectors are designed and set this way in order to find coins and so-called ?military? in all conditions. Foreign detectors are designed mainly in countries where there wasn?t any contemporary military operations, such as the United States or United Kingdom; these detectors are adjusted to other findings, such as very small gold nuggets etc. Such detectors used in other conditions may indicate wrong signals. Armand's metal detectors don't have displays and other ?improvements? popular in foreign detectors. These things are unreliable in difficult weather conditions. We are packing all parcels into strong and specially marked, cardboard containers, therefore we are giving 100% guarantee that ordered goods will reach you in the perfect and intact state. We give 24 months warranty on offered products. We guarantee expert advice and technical assistance concerning the use of Armand company equipment. In this way, the customer is sure that if he has any question - we would answer. 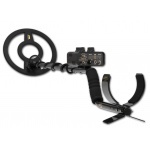 In the case of repair of the metal detector with a valid warranty, buyer sends their detector at their own cost and Armand company sends it back to the client at our cost. We declare that we are not legally liable for use of the detector with violation of any applicable law. We declare that we are not legally liable for any damage to health and property caused as effect of using the metal detector.